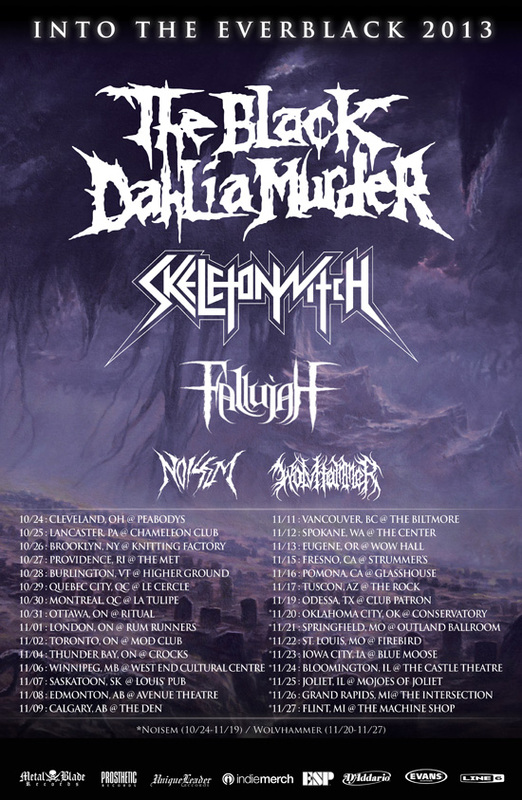 The Black Dahlia Murder will be embarking on a headlining tour across North American this Fall. Joining them for this particular run are Skeletonwitch, Fallujah, Noisem (10/24-11/19), and Wolvhammer (11/20-11/27). The tour will begin on October 24th in Cleveland, OH and ends on November 27th in Flint, MI. The confirmed list of shows is below, and on the band’s facebook page: facebook.com/theblackdahliamurderofficial. The Black Dahlia Murder just returned home from a long summer on tour as part of the Van’s Warped Tour. At the Ventura, CA stop of the tour, Brian Eschbach, Ryan Knight, Max Lavelle, and Alan Cassidy, recorded their parts for “Into the Everblack” from the band’s new album,“Everblack.” The performance is streaming now at metalblade.com/bdm. Additionally, videos for each individual performance have been posted at youtube.com/blackdahliamurdertv. “Everblack,” the band’s new album, debuted at #32 on the Billboard Top 200, #3 on the Billboard Current Hard Music Albums chart (behind Black Sabbath and Queens of the Stone Age). Additional chart debuts include #3 on the Billboard Hard Music Albums, #9 on the Billboard Independent Albums, and #30 on the Hits Albums Chart. Additionally, the album peaked at #15 on the iTunes album chart, and #2 on the iTunes Metal chart, second only to living legends Black Sabbath. The Black Dahlia Murder’s new music video for “Goat of Departure” was also recently made available, and be seen on youtube HERE. 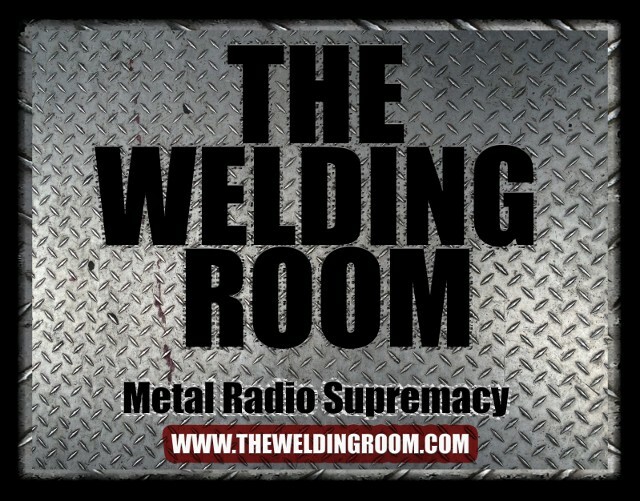 Request TBDM on The Welding Room! Tweet #DeathThreatsComplaints to @TheWeldingRoom or join the http://www.rockdefradio.com live chat during the program. The video, directed by Ben Mayer, was filmed in the band’s hometown of Detroit, MI last month. In typical TBDM fashion, it is over-the-top and even features the return of a classic TBDM character, and a real, live goat. This entry was posted in METAL and tagged Black Dahlia Murder, Black Sabbath, Cleveland, Everblack, independent albums, iTunes, Ventura California, Warped Tour. Bookmark the permalink.